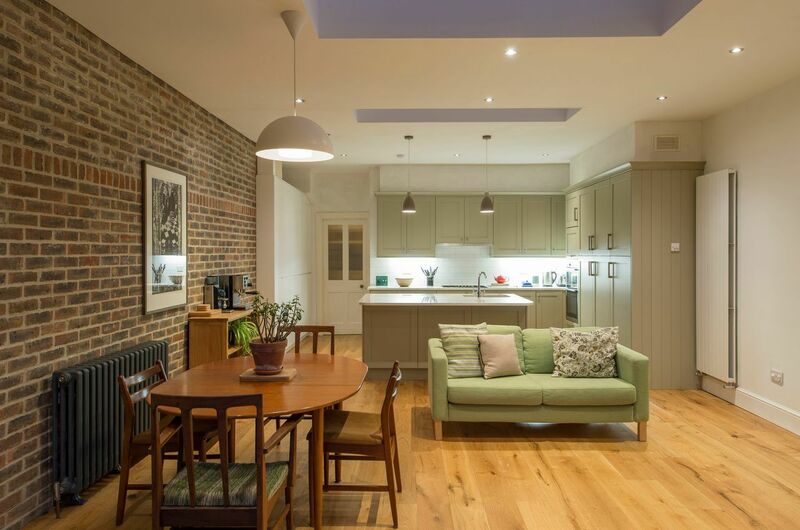 Extension and internal alterations to an existing terraced period brick house, Phibsboro, Dublin 7. 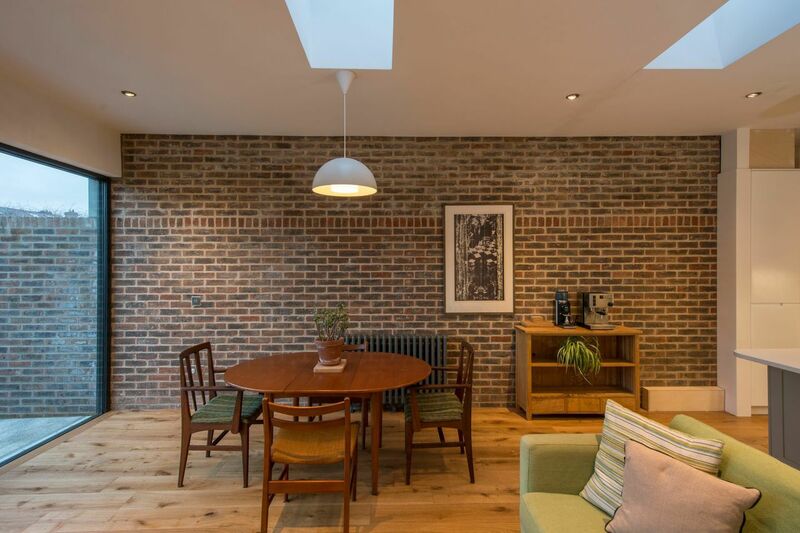 The brief was to extend the existing house and to create a new connection to the garden area. 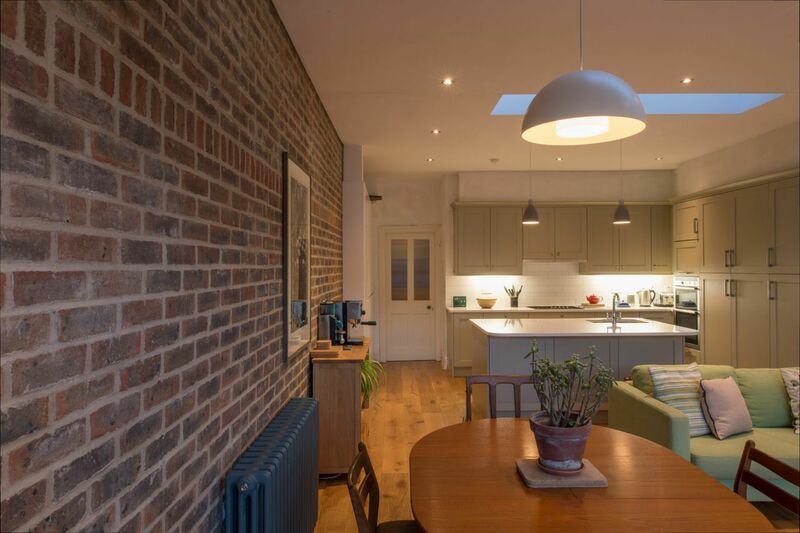 This was achieved by constructing a new internal / external brick wall which connects the inside space to the outside. The ceilings were constructed higher than normal and two large roof lights were equally spaced to evenly distribute natural light from above. The new kitchen / living space is divided with a kitchen island unit.